Italy’s Salvini likens African Immigrants to ‘slaves’…. 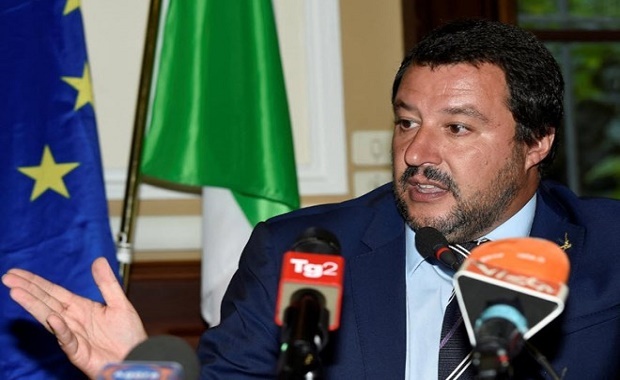 VIENNA/ROME (Reuters) – Italian far-right leader and Deputy Prime Minister Matteo Salvini likened African immigrants to slaves at a European conference on Thursday, drawing an angry response from Luxembourg’s foreign minister, who cursed at him in frustration. “I heard someone say we need immigration because the population is aging. I see things completely differently,” Salvini told the session in remarks filmed and posted on his Facebook profile. Asselborn was apparently referring to the decades following World War Two, when several European countries took in migrant workers to meet the demand for labor during a prolonged economic boom.